Here at Moore’s RV we have an entire line of lightweight campers. The lightweight category is one that many people like because of how easy they are to tow with smaller vehicles like a midsize SUV, and the lower weight allows for better gas mileage and savings on fuel. Let’s take a look at some of our top lightweight RVs that we currently have available on our lot. We are offering great prices on our Keystone Passport Grand Touring travel trailers! First, we will look at the Keystone Passport Grand Touring travel trailer. With fourteen different floorplans, it will not be hard to find the one that has all of the space and amenities that you need to fit your family. 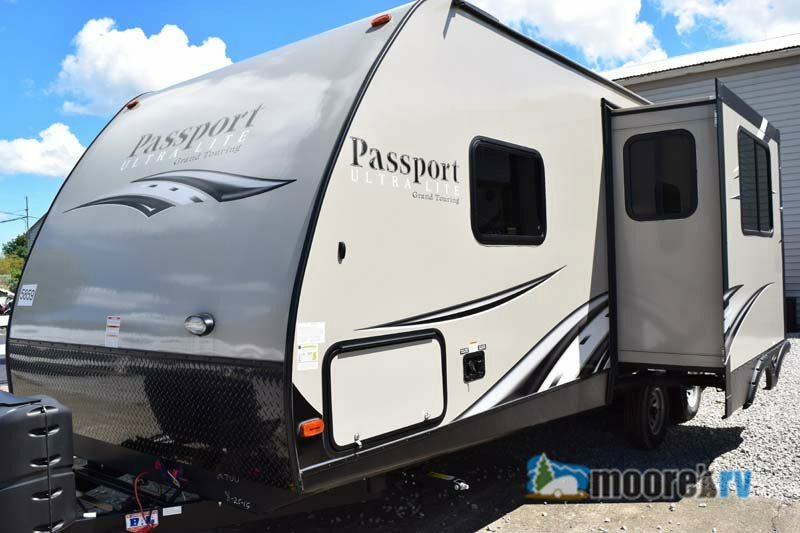 With interior features like highly durable Beauflor linoleum and a residential style entertainment unit complete with an LED flat screen HDTV, the Passport Grand Touring will create a functional and comfortable home away from home, and we currently have one model that is priced for $7,400 below the manufacturers retail price! That’s a big savings on a wonderful travel trailer! Looking for a lightweight fifth wheel? The Keystone Cougar X-Lite is one to consider. 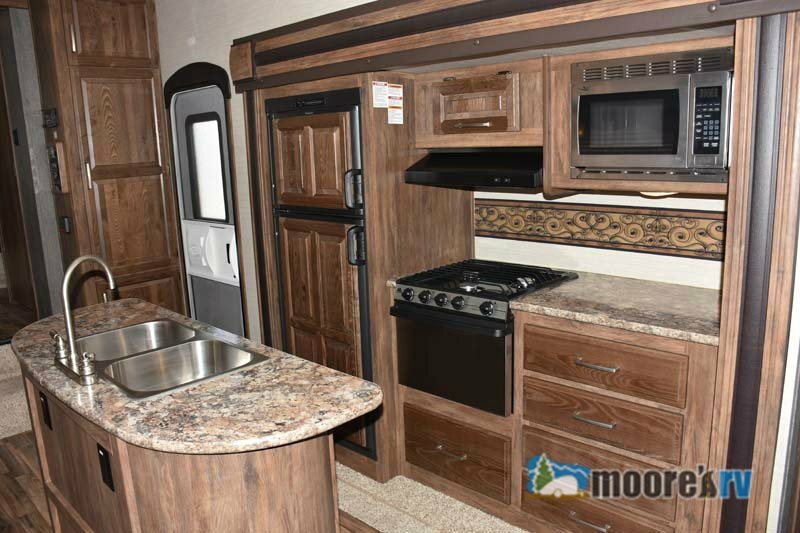 In this fifth wheel, you will have features like an executive chef kitchen with lots of cabinet and counter space to do any and all of the cooking and storing that you want to do. Plus, with large, high quality appliances and an island with stainless steel sink, you will be cooking in luxury everywhere you go. Look at the beautiful executive chef kitchen in the Keystone Cougar X-Lite Fifth Wheel! These are only few of the lightweight RVs that we have available. Be sure to contact us to find out about all of the travel trailers, fifth wheels, motorhomes, and more that we have on our lot. You can also just stop by our location to take a look inside any of the campers at our store. We know that we can find you an RV that will fit your family’s needs!